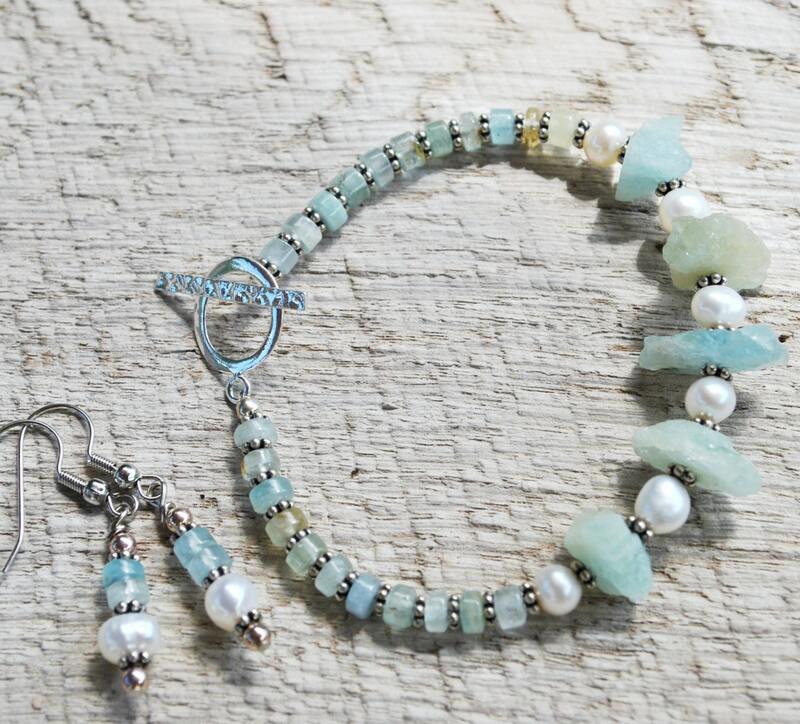 A soft blue aquamarine bracelet set is made with a combination of raw aquamarine stones, freshwater pearls, sterling silver beads and aquamarine beads.It is completed with a sterling silver toggle clasp. 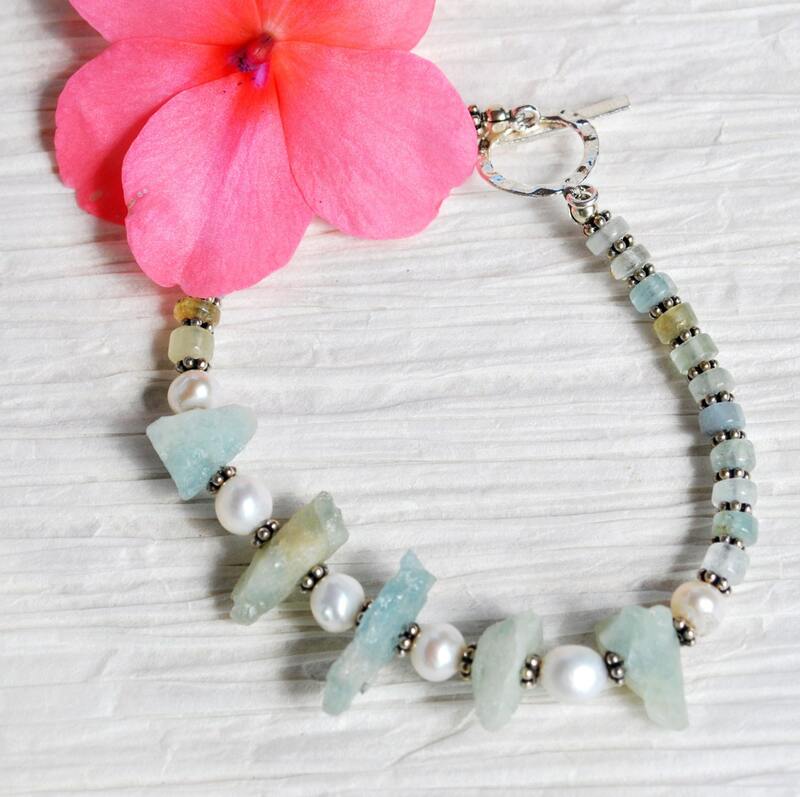 An elegant beach bracelet! The gemstone Aquamarine is the modern March birthstone. It is also the birth stone for the Zodiac sign of Scorpio. 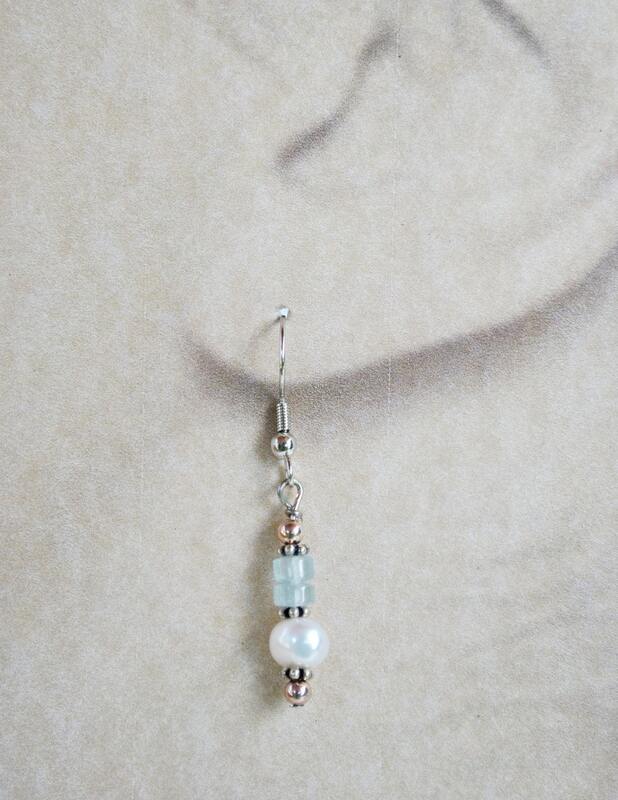 Aquamarine is suggested as a gem to give on the 16th and 19th wedding anniversaries. Aquamarine ranges in color from an almost colorless pale blue to blue-green or teal. It gets its name from Latin words meaning water and sea. 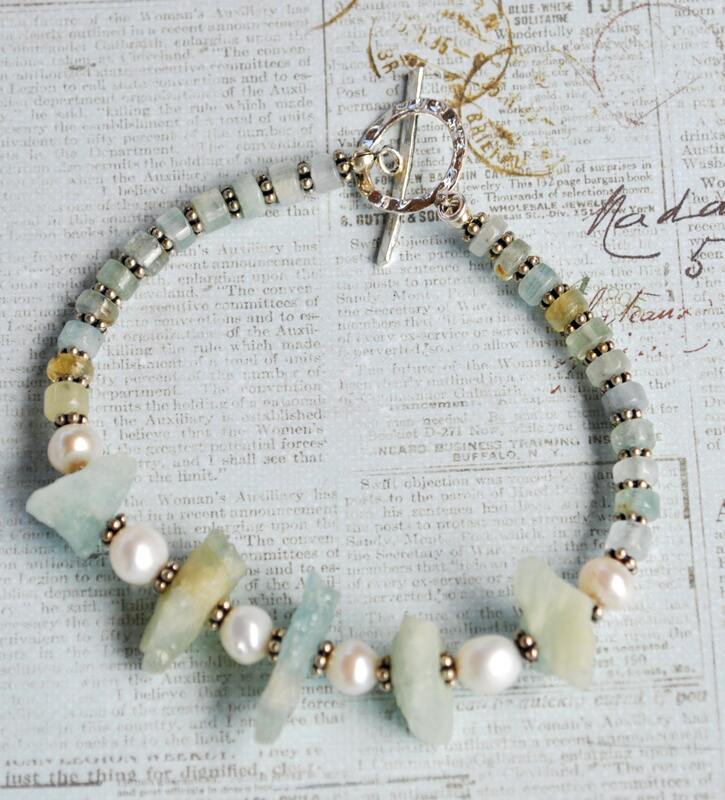 Since early times, aquamarine has been believed to endow the wearer with foresight, courage, and happiness.